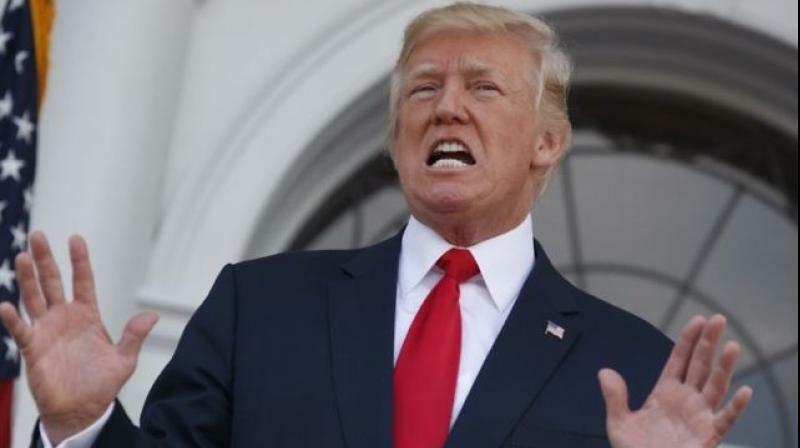 Washington: US President Donald Trump on Saturday offered to temporarily shield a million immigrants from deportation if Congress authorizes funding for his Mexican border wall — an idea Democrats rejected, making the US government shutdown likely to grind on. Mr Trump attempted to seize the initiative in ending the 29-day partial shutdown, a funding freeze that has left many important government departments relying on unpaid or highly reduced staff. His bargain, announced in a televised White House address, held out the carrot of protection from deportation for two categories of immigrants. These include 700,000 so-called “Dreamers,” children of people who settled illegally in the US, and who have become a favorite cause of the Democrats, as well as 300,000 other immigrants whose protected status is expiring, Mr Trump said. The President said these concessions would “build the trust and goodwill necessary to begin real immigration reform.” In return, Mr Trump demanded the $5.7 billion he says is needed to extend fences on the border with Mexico, something the opposition Democrats have repeatedly refused to authorise. That has prompted the President to retaliate with the shutdown.